This documentary explores Caribbean identity through the images and sounds of a ubiquitous feature of contemporary popular culture: the music video. Focusing on the English-Speaking Caribbean, this work wrestles with issues of self, as music video directors, producers and artistes share their views on the complexities of portraying Caribbean people and life using the moving images and sounds of the music video format. The documentary recognises the power of the music video as a medium of cultural re-presentation and circulation, influencing among others dance, dress and music – impacting ways of being in the world. The title of the work is taken from the late cultural theorist Stuart Hall. Hall describes grappling with theory as “wrestling with the angels.” He declares in his work Cultural Studies and Its Theoretical Legacies that the “only theory worth having is that which you have to fight off, not that which you speak with profound fluency” (1999, p. 101). 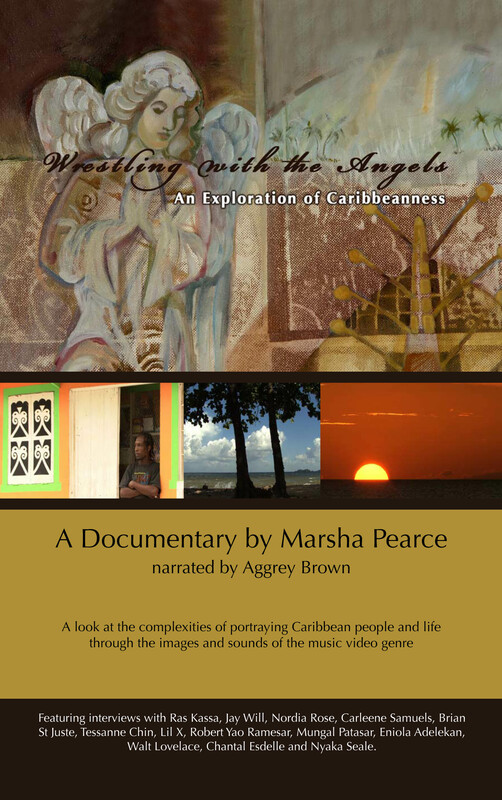 The documentary wrestles with such concepts and theories as an authentic self, essence of being, shifting/hyphenated/fragmented identities, hybridisation and globalisation – all within an exploration of Caribbeanness. 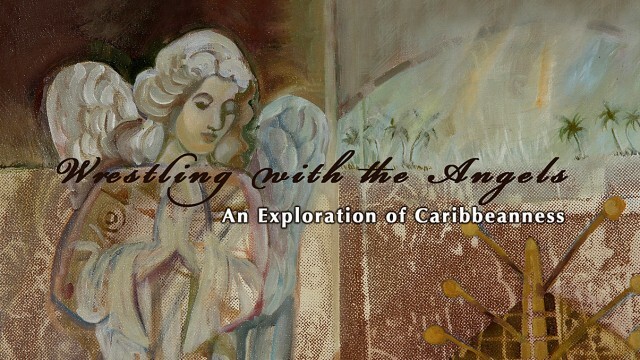 The documentary’s title image is a painting by Jamaican artist Carol Crichton. The documentary has been screened at the Trinidad and Tobago Film Festival 2008; The Africa World Documentary Film Festival 2009; The XXVIII West Indian Literature Conference, the University of Guyana 2009; The 34th Annual Caribbean Studies Association (CSA) Conference, Jamaica 2009; The Bridgetown Film Festival, Barbados 2009 and The 4th Annual CaribbeanTales Film Festival, Toronto Canada 2009. The work has also been acquired by a number of university libraries.